While I do love our built-in office space, I can't help but wonder how this matching desk and bench would look in my eat-in-kitchen turned office!?! Love the matching design - these extra details add a lot of impact in smaller spaces. 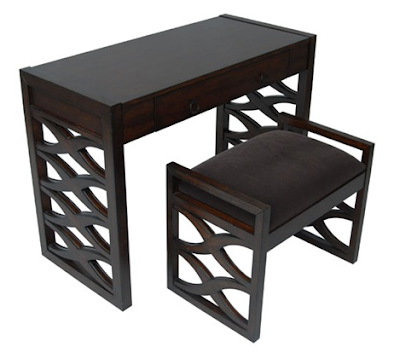 0 Responses to "SMALL SPACE ACCENTS: Waverly Desk & Bench"